We provide strategic insights and effective tools for data visualization, spatial modeling, what-if scenario building, and field data collection. We use a variety of Web and mobile-based technology as well as our own MapplerK2 and MapplerX interactive mapping platforms to create fully customized solutions for each industry and project. We have two environmental mapping initiatives, IMRivers and IMTrails, which focuses on bringing trail mapping into the modern age. We also give demos for our maps, assist with website and map setup, and provide GIS training. We can create an app for you on MapplerK2 with a unique login and customs features, or a fully customizable standalone app for iOS and Android devices. We help clients create, manage, and distribute effective data visualization projects that are specialized for specific industries. Using our Mappler platform, we build interactive maps that can be used for user-friendly crowd-sourcing and demonstrating complex GIS data at the same time. Using our expertise in data mining and spatial modeling, we help clients in their decision-making process by using geospatial analysis to build intricate what-if scenarios. Using our simple yet powerful Mappler apps, we can streamline any field data collection process, from training, collecting, and monitoring. Over the years, we have successfully led more than 100 participatory mapping events in the country and beyond. We’ve coordinated events, provided staff training, and given lectures and talks on the topic of participatory GIS. 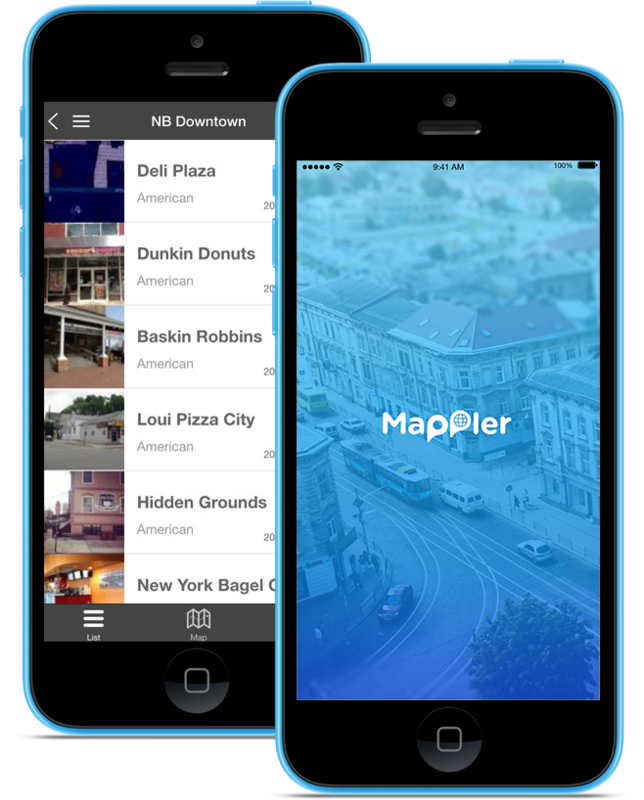 Any interactive map using our Mappler platform can be transformed into a standalone app that works on both Android and Apple App Stores. We make this process much faster, easier, and more affordable than hiring developers of your own.